In my last article i mentioned the devastating Ehlers effects. Sadly, even with the latest advances in dentistry; treatment can be very difficult & painful. 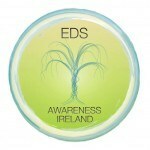 I hope to provide some helpful advice for E.DS patients that will improve their oral health. 1 Avoiding the dentist . Easier said than done – the most important lesson is prevention, prevention, prevention. Your oral health should be in excellent condition, particularly considering how delicate & easy it is to damage the soft & hard tissues in there. 2 The two main diseases are Cavities & gum disease and your mouth is constantly under attack . In order to keep these away, you will really need to be committed to a programme that requires discipline and is time consuming – it is the only way. You should be spending at least 8 minutes a day on your teeth & gums. Please inform them in advance of your condition and any recent changes; as further information may be required. They may also need to consult with your medical team and certain tests e.g blood may be needed. A number of eds patients will be looked after by a mutlidisciplinary team in a hospital setting. They will need to take extra care & precautions when looking after you and may need to have certain materials, e.g. intra-oral glue instead of sutures in the event an extraction is needed or particular anesthetics – as some are less effective. Early-onset gum disease is one of the most significant oral manifestations of the syndrome. This can lead to the premature loss of baby and permanent teeth. Hypoplasia of the enamel is commonly seen. Premolar and molar teeth can present with deep fissures and long cusps. The teeth seem to be fragile and microdontia is sometimes present. What this all means is that your enamel may be susceptible to more rapid breakdown. In my last article i mentioned Nicola Peate, this is not uncommon and any opening of the mouth will need to be done gently with particular attention to excessive range of movements. Really important. Sugars increase the risk of tooth decay as plaque bacteria thrive on these and generate acids that can attack the teeth and cause caries. • Avoid sticky sweet foods (e.g. toffees etc) as these will not be easily dislodged with normal mouth action or saliva. • Savoury snacks that do not contain sugars, e.g. peanuts, cause no notable harm to teeth, indeed salty snacks may actually protect the teeth by stimulating the flow of saliva. • Have a plan when you start brushing, so that no tooth surface is left out. Upper and lower teeth should be brushed separately. Start at one side and work your way around all the outside surfaces, brushing two teeth at time, and then move on to the next two. Then do all the inside surfaces. • The use of a small pea size amount of a toothpaste is recommended every time you brush. It is important not to scrub, as this can cause damage to the gums, and increase the risk of your gums receding. A short back and forward motion or small circular stroke is recommended. The bristles should be placed firmly enough against the tooth so that they splay out and go into the cuff of the gum, but not so firmly that the bristles are flattened against the tooth. • It helps to stand the toothbrush on its end when cleaning the inside of the front teeth because the dental arch curves here. Lastly, the biting surfaces where you chew your food need to be cleaned. These surfaces can be scrubbed, as the gum is not affected, and the crevices and grooves on the tops of the teeth can hold food debris and plaque. This process should take 2 -3 minutes. More time should be taken with teeth that are crooked or out of line. It is important to be aware that the spaces in-between the teeth need to be cleaned with some form of inter-dental cleaner. The toothbrush does not reach this surface. This can be inter-dental brushes, dental floss or tape, or soft wooden sticks. Each person should be advised which is the best for them to use. • Given the susceptibility of enamel, fluorides are of benefit and recommended for all individuals with EDS. • Twice daily use of a fluoride-containing toothpaste is recommended. • These should be used on a daily basis. • Mouthwashes based upon chlorhexidine can cause superficial staining of the teeth. Change is often difficult , but the power of a positive attitude is enormous .The commitment in terms of time is onerous, but after awhile your routine will become automatic. This really is the best investment for your oral health – good luck!